Zeus Jones is built on a foundation of collaboration – with internal teams and with clients – and we’ve always worked hard to find tools and processes that make that collaboration successful. We use these tools to facilitate workshops which help us get to better ideas more quickly, provide the right amount of structure for making decisions, and involve key team members in the process from day 1. As of late, we’ve been exploring new ways to integrate more prototyping into the tools we use. Prototyping has always been a fundamental part of design, but what’s interesting today is how different teams are applying the idea differently to their unique processes. 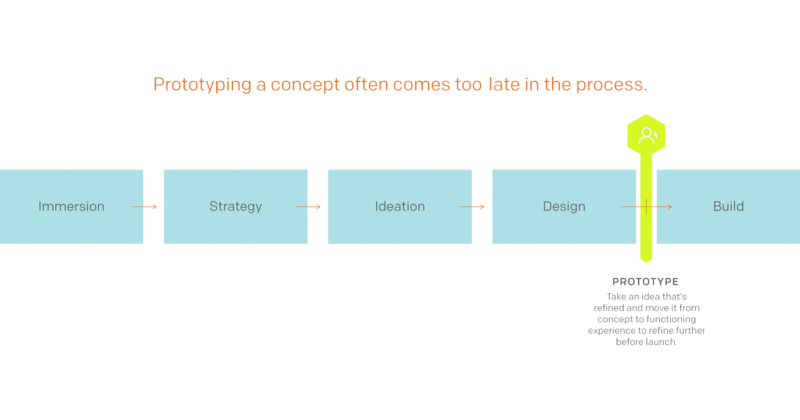 Where the prototyping conversation really got interesting for us was around the idea of integrating prototyping into our process at every stage, rather than just a single prototyping phase that was often taking place too deep in the process. In other words, what if we used a prototype to validate an insight? Or what if we prototyped a strategy before it became an activation? 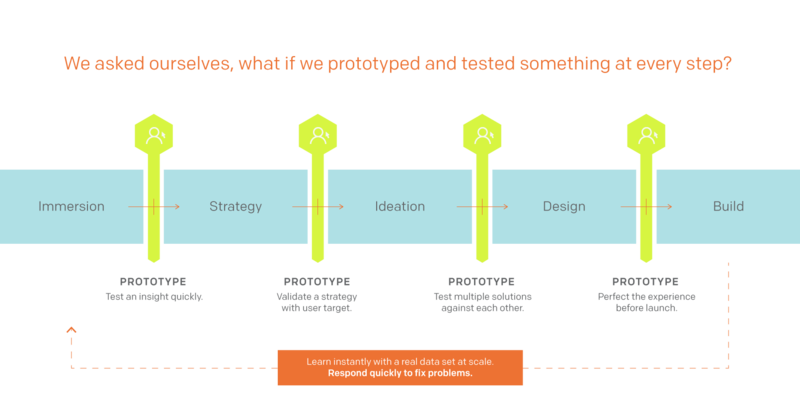 How could we integrate prototyping exercises earlier in our process in order to learn faster? Why aren’t big companies already applying these methods to their businesses? For one thing, big, established operations often face formidable logistical barriers – like multiple layers of approvals, security requirements, and antiquated development processes – that make moving quickly much more difficult. In fact, we’ve seen firsthand how leaders within larger organizations encourage their people to be nimbler and “act more like a startup,” but don’t provide the tools (or demolish the barriers) to make it possible. That’s where Design Sprints come in. 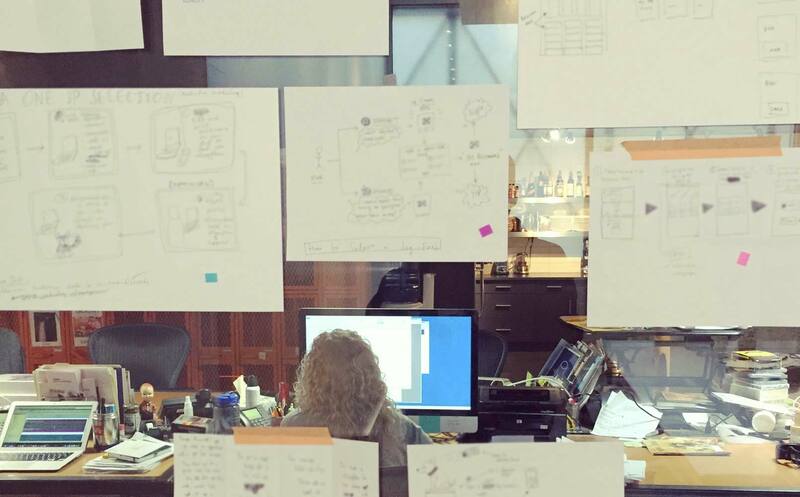 As we were exploring new ways of prototyping ideas, strategies, and experiences, we stumbled upon the awesome work being done by theDesign Team at Google Ventures. The Design Sprint process, created by Jake Knapp, is described as “the greatest hits of business strategy, innovation, behavior science, design thinking, and more.” The GV team has been extremely generous in sharing their process in a series of articles and videos that make it pretty easy to apply. Also, special thanks to John Zeratsky, who even took the time to speak with our team about the Design Sprint methodology. We’d already explored some methods that had elements of the Design Sprints in other projects, but what really clicked with the GV process was how they stitched together those greatest hits. 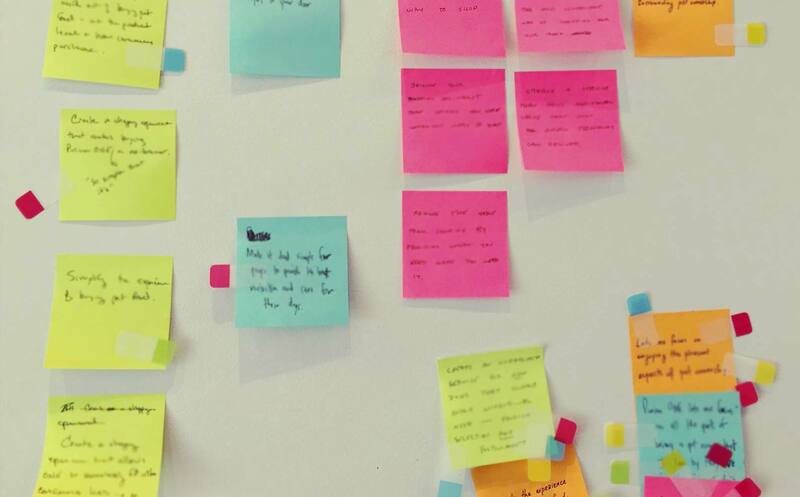 The Design Sprint process makes it clear that a prototype can be many different things at many different levels of fidelity – and that it’s absolutely key to have a real deadline with real users waiting for you at the end of the week. If you want a detailed playbook for how they actually work, that can be found over on the Google Ventures. The Cliffs Notes version is as follows and I’ve probably over simplified, but think about the last time you dedicated an entire week to solving a single focused problem with your team? Your team, your client’s team, higher-ups in the brand’s organization, and even partners) and work to clearly define the problem and map out how you believe a consumer engages with your product. If there’s 5 stakeholders in the room, chances are there’s 5 different definitions of the problem. Design real solutions to the problem. At this step, everyone is responsible for bringing ideas to the table – even the CEO gets to play designer. Decide which solutions are the best by voting. This is my favorite part, because I believe many design cultures have become overly collaborative. When people are too focused on creating initial ideas together, the best ideas can get lost. Build a simple version of the solution that people can actually use. It doesn’t have to be fancy. Think Keynote click through. Test the solution with real people. We’ve made the Design Sprint process part of our toolkit for solving real problems – either business problems for our clients or internal problems that need a fresh perspective. The big difference between our approach and the Google Ventures version is that GV uses the Sprint to work closely with startups, while we use it to work with established Fortune 500 companies. Often, the first barrier to success in a big company is other parts of the organization. The Sprint process brings key players from related groups together and gets them invested in a common goal – starting on day 1. It’s always easier to sell your own ideas. When our clients are 100% integrated in the process, they’re better equipped to pursue and win support within their own organizations. When they’ve got a functioning prototype and real user feedback to show off, instead of a few speculative Powerpoint slides, they’re much more likely to succeed. We’ve seen a shift from clients wanting to be presented the perfect idea to a relationship that involves everyone rolling up their sleeves to work together faster and more collaboratively. These are the kinds of engagements we’re built for and we’re using tools like Design Sprints to get to solutions in a matter of days that also yield better ideas and don’t require the long drawn out process of briefing the agency and waiting weeks for the perfect idea to come back with little or no input from the brand through the process. Try a Design Sprint on your next project – avoid the urge to go off and spend weeks in search of the perfect big idea, and instead hunker down with your team and solve it in 5 days. Add your own thoughts, ideas, and experiences.